Be a part of weekly golf competition. Don’t miss out on the fun! These are fully handicapped and flighted nine hole weekly tournaments with winnings and fun event formats. New members can join any time of the year. Register online or at the clubhouse. (See yearly membership pricing and details below. A separate membership is required for Remuda and Crane Field.) Crane Field has divisions for Men (blue tees) and Sr. Men (white tees). Remuda has divisions for Men (blue tees), Sr. Men (white tees), Women (gold tees), and Couples (white tees men – gold tees women). Who will win this week? Who is leading in points and stats? Competition with other players is fun, but the most challenge you face is the competition with yourself and your course handicap. We like to spice things up and keep things interesting and entertaining. You’ll enjoy Spring and Fall Socials, Wheel of Prizes, Member Appreciation Week, Special Events, Free goodies, and more! Q. What tees do Association Members play? A. Men play Blue Tees each weekly event unless modified by a specific game. Sr. Men play White Tees each week unless modified by a specific game. Super Seniors over age 75 may play from whatever tee they choose, including the red tees. Q. Are separate memberships required if I want to play at both locations? Q. How are Winnings awarded? A. Winnings are awarded to the top placeholders in each handicap flight as specified by the bylaws. winnings will be credited within 7 days to your individual shop credit account. Winnings are golf shop credits which may be redeemed at Remuda or Crane Field for golf, equipment, and food. Results are posted on our news blog each week. 100% of game fees are paid out each week. Q. Am I required to play every week? A. No. Play as few or as many events at you like. The more you play, the more participation points you can earn for year end Cup standings and raffle tickets. Q. Is there a time limit for using winnings credits? A. Yes, we would like you to use up your winnings by the end of the season in October. You can buy things in the shop or submit special orders. We have order forms on this site and we also have them at the clubhouse and available at the closing social. Winnings that are not used by the end of October shall be forfeited. Q. What are your rules? Do you have bylaws? Yes, the president keeps bylaws updated and is responsible for teaching and enforcing them. Each member is required to sign a waiver and abide by association bylaws and the presidents decisions. Copies are available at the clubhouse and upon request by email. Q. Is there no women’s or couples league at Crane Field? A. Not at this time. We don’t currently have a consistent number of players to sustain a women’s and couples association in-house. If you have a group of 10-20 players looking to get the ball rolling, please contact us so we can create a new division. Q. Does your association have divisions and flights? A. Yes, Crane Field has a Men’s division and a Sr. Men’s division. Remuda has Men’s, Sr. Men’s, Women’s, and Co-ed Couples. Within the weekly results we also divide players by flight as determined by their handicap. One to four flights is typical. These flights helps spread out winnings and deliver fair results week to week for golfers of all abilities. Q. During the multi-round Club Championship tournament, will I still get points if I bail out after the first round? A. Yes, we divide points and winnings between both rounds. We payout full game fees for each round’s flights, in addition to giving the over-all winner bonus winnings. Q. Where are scores posted? A. Printed scores are posted on the magnet board inside the pro shop at each course clubhouse. We are using USGA GolfGenius to calculate and post official scores. Archives of previous scores and player stats are also viewable online. 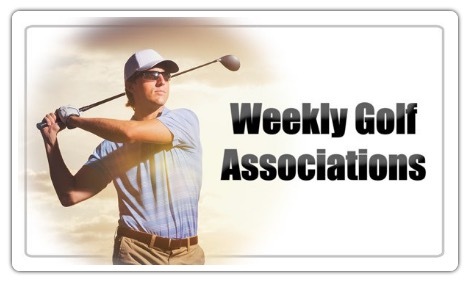 The fastest way to view them digitally is to download our phone app and follow the “Weekly Associations” Link. You can also visit our websites CraneFieldGolf.com and RemudaGolf.com, see Association Page>Player Hub>Results Portal Button. Links are also on posted on our Group Facebook page. Q. Do I need to pay green fees in addition to game fees for association events? A. Yes, In addition to weekly game fess, green fees are also be required to play on the course. Most members buy discounted punch passes when they know they will play 20 or more events. Q. Do I need a UGA (Utah Golf Association) Membership or active USGA Handicap index to play? A. No, we keep track of in-house handicaps so you don’t need to be a UGA member. If you are new we can use your current handicap index a a benchmark to start from. Otherwise you will have to turn in a couple rounds of golf first to establish a handicap. Q. How do points work? A. You will accumulate points throughout the season for playing in Association sponsored events. Automatic participation points are awarded to all who play each week, more points depending where you place and how many association events you play in. Some bonus events require players to have a minimum amount of points to play. (Meaning you have to use some points to buy in, and you can’t join the Association just in time to enter the tournament.) Points are also used to buy raffle tickets and prizes at the end of the season. Q. Do I have to play in the 18 Hole Saturday Events? A. No, just like the weekly events, they are optional. The more of them you play in, the more participation points you can earn for year end Cup standings and raffle tickets. Q. What days and times do Association Members play? A. Men may plan anytime Wednesdays or Thursdays. Senior men may play anytime Mondays or Tuesdays. (On rare occasion there may be a holiday or rain day that causes us to extend play one day. Also monthly 18 hole tournaments may be played anytime on Saturdays. Q. If I miss a social event or member appreciation giveaway, can I get reimbursed? A. Unfortunately, due to the nature of most of these things, they are “use it or lose it” bonuses for members. We realize it is impossible for everyone’s schedule to attend each and every event, but we try to do several events to make up for this. Q. Do I need to have a team member? A. No because most events are individually scored. We do occasionally have scrambles where two members from the association team up. We can help you find a partner if you don’t have one. A lot of members do sign up with friends so they can golf together. You must play your weekly games with at least on other registered member. Your scorecard must be attested by another member of the association to count. Q. Is there no junior league at Crane Field? A. Not at this time. There is no weekly competitive league similar to the men’s. However, we do host a summer learning academy for juniors that includes weekly classes and a closing tournament. Q. Can you give me more details about establishing an in house Handicap? A. Members with UGA handicaps may use their index to immediately establish a house handicap, but you do not have to be a UGA membership to play. If you do not have a UGA membership you simply need to play two 18 hole rounds (or two nine hole scores on each side) to establish an in-house index. Not difficult at all, and we do all the work entering your scores each week to keep your handicap accurate. Once established, your handicap is used for Low Net events and for determining flight divisions. Q. Is there a schedule of events available?